Hannah, and I, Sarah, grew up on a little farm in Cortez, Colorado. We grew up with horses, miniature horses, llamas, cows, dogs, cats, geese, ducks and in 1998 we talked our parents into a rabbit. Hannah and I each picked out a bunny from the local feed store. We no longer played on our play set, so we decided to convert the whole thing into a 5 story deluxe rabbit hutch. Unfortunately we had one of our rabbits escape, and we never found her again. So we went' down to the feed store again to get another little bunny. When we got there was someone trying to give away one of their bunnies, and asked if we would like him. They had a sweet little mini lop buck that they wanted to give away. Of course, we took him. He was our little Romeo. We put him right in with the doe, and that was the beginning. About a month latter, the doe had dug a hole, and buried it. We kept trying to unbury it thinking that she was being selfish, she just kept re-burring it. Eventually we dug it out, and out hopped a bunch of cute, fluffy little white hair balls! From there, we were hooked! Romeo had passed, and we needed a new buck for more babies! We visited our new pet store, and found this tiny little blue otter netherland dwarf. He was so cute! The man at the register told us that he even had a pedigree. WOW we thought, we didn't even know bunnies could have pedigrees! So we took him home. In later understanding, we figured out that we had just bought the 1st place junior otter buck from the previous Dwarf national! That decided it! We loved the pedigreed bunnies. We traveled to Arizona one year, and while there, we picked up our first holland lops from Lorri Lynn, in Glendale, AZ. We went to our first show shortly after, and got lots of bunnies! So out went the non pedigreed bunnies! 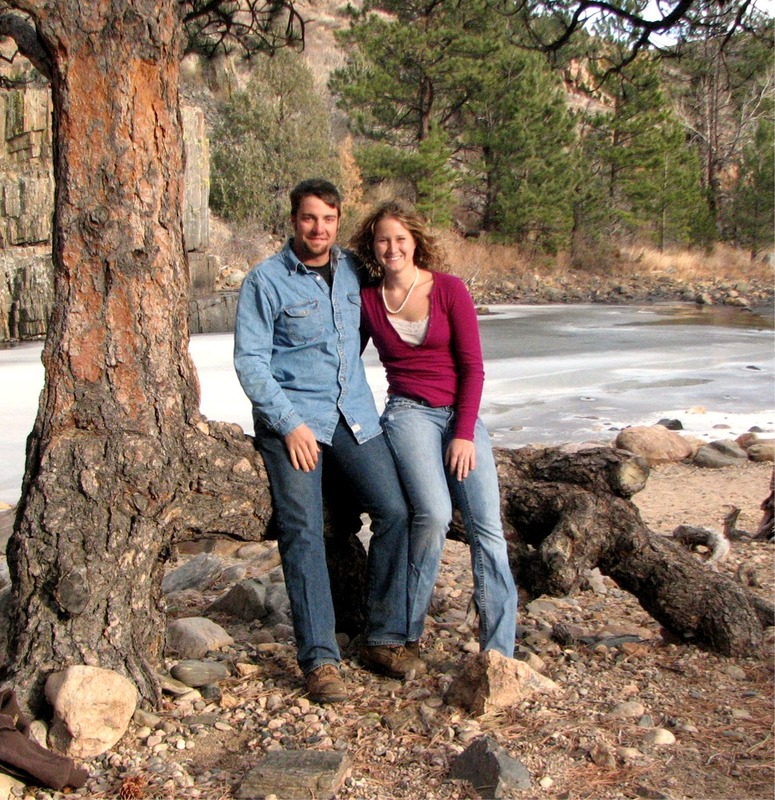 In 2006 Sarah went to Colorado State University in Fort Collins, Colorado. For the first year she was only able to have a couple of rabbits at her boyfriend's, J.W., house. J.W. helped her go to Utah to pick up some english lops to start working on, and breeding into the velveteen lops. During this time Hannah was taking care of the holland lops, and netherland dwarfs back in Cortez. Sarah went back to Cortez for that summer, and then brought the Holland's back up to Fort Collins with her, and when Hannah was preparing to go to college, Sarah brought up the dwarfs too. In 2008 Hannah started attending Notre Dame, in South Bend, Indiana! In October 2008 Sarah attended the American School of Equine Dentistry, and learned how to be an Equine Dental Technician. She then started her own equine dental business, Big Country Equine Dentistry. In February of 2009 Sarah and JW moved to West Central Texas, where JW's dad's family is located. We decided to make the move because there is more of a market here for the horses, and JW's dad needed help from him running the cattle, and farming/excavator business. The move was hard on the bunnies, and we ended up losing most of our adult english lop stock, and many other holland lops. I can't thank my friends in Fort Collins, Emily, Shannon, and Melissa, for giving me back lots of stock to get my herd going again! In September of 20011 Sarah and JW moved back to Colorado We missed the cooler weather and the mountains. We now own a small horse boarding facility near Greeley, CO. Sarah is currently working at a bank only 2 miles from home. I am lucky enough to be able to come home everyday for lunch and play with the bunnies. When Hannah and I were in high school, our dad told us that we had better start thinking about getting rid of the rabbits, since there is no way that we would be able to keep them through college. I was not about to get rid of the rabbits, I love them to much, and they were too big a part of my life to just give them up. So I thought of a way to move them with me! We bought some old gutted out camper trailers, and converted them into bunny barns! Now the rabbits can go anywhere that I move to! The rabbits all have a automatic watering system, that is gravity run from a tank above the rabbit trailer. All the rabbits have J feeders too. Recently my pans all needed replacing in the bigger barn. I was sick of cleaning the pans. In Colorado the liquid waste does not build up much since it is a dry climate, however in Texas, it is much more humid, and there is much more standing water and urine, yuck! So I made my own waste system. I took out a row in the barn so it was not so crowded, the big barn now holds 45 cages. I spread the cages out. I added corrugated PVC sheets that ramp down towards a plastic rain gutter, the water and urine then leaves the barns through drains at the end of the system. All I am left to clean is the dry bunny poo on the ramps, and the gutters! WOW that helped on the smell too!! This system was much cheaper than buying new pans, and I would recommend it to anyone.